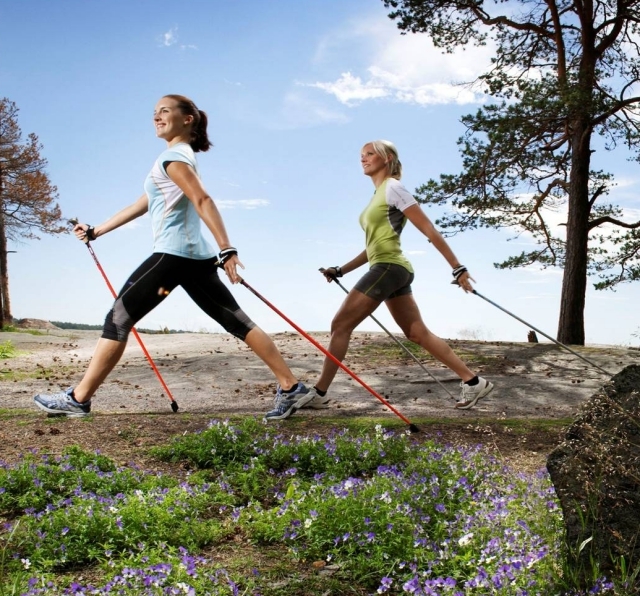 Nordic Walking combines the benefits of fitness walking and cross country skiing! Join us to enjoy a gentle, social, full body workout in the park. Walking with Nordic Poles builds upper, lower, and mid-body strength, improves cardiovascular function, improves posture and balance. In addition to teaching weekly Feldenkrais classes offsite and at CSC, Marci Spiegler, MS is an ANWA Certified Nordic Walking Instructor and teaches stress reduction, mindfulness, sleep improvement, and personal ergonomics. She works with a diverse clientele, and is very excited about helping CSC members develop stronger, more intelligent bodies and flexible minds!